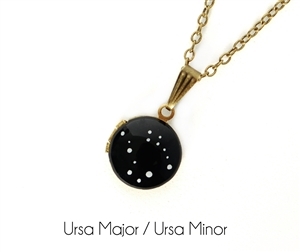 This tiny hand painted Ursa Major/Ursa Minor (Big Dipper/Little Dipper) constellation locket necklace is made with a vintage brass locket, which measures a dainty 1/2-inch/1.25cm. 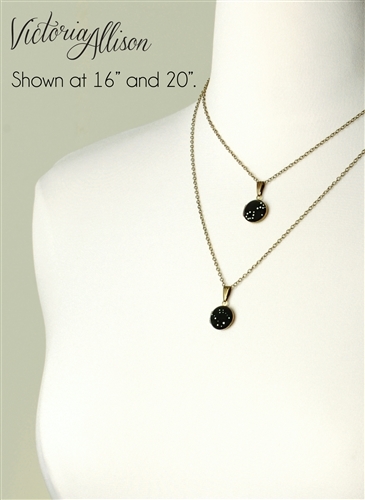 Each one will vary slightly from the next, and has subtle signs of vintage aging. 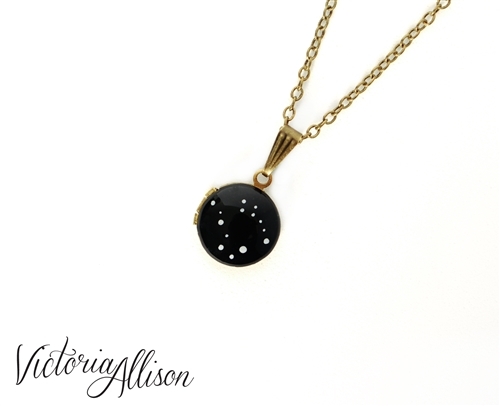 I have hand painted the constellation artwork on the front of the locket, and finished the design with glossy jeweler's resin. 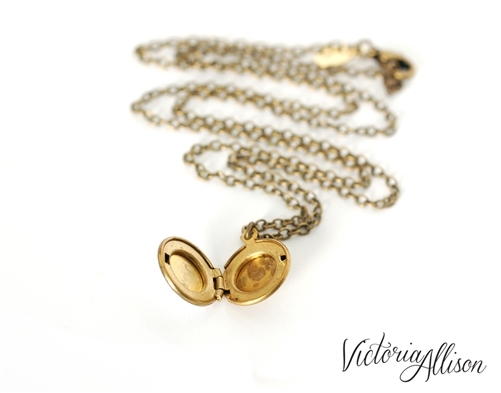 They are water resistant, but please do not go swimming or shower while wearing your jewelry, and avoid spraying it directly with perfumes/lotions.